The commercial property division at our client Langleys Solicitors advises on many transactions, from land purchases to building leases and acquisitions. One recent deal proved particularly interesting – the planned transformation of a 19th century former convent in York into a £3.5 million residential scheme of apartments and new homes. St Joseph’s was home to the Poor Clare Colettines, an order of nuns, for 140 years until 2012 when the convent was closed. Langleys advised property developer Northminster on the purchase of The Lodge and The Extern House at the convent – Grade II listed buildings which were designed by the ecclesiastical architect George Goldie and built between 1872 and 1875. Northminster has secured planning permission to convert the buildings into nine one and two bedroomed apartments and a two bedroomed house. The development will also include four single bedroom new build houses within the grounds. Other features planned include landscaped communal gardens, private garden areas for several of the properties and onsite car parking spaces. Our press release detailing the convent transaction resulted in media coverage in the Yorkshire Post, BusinessDesk, Insider and Yorkshire Business Daily. 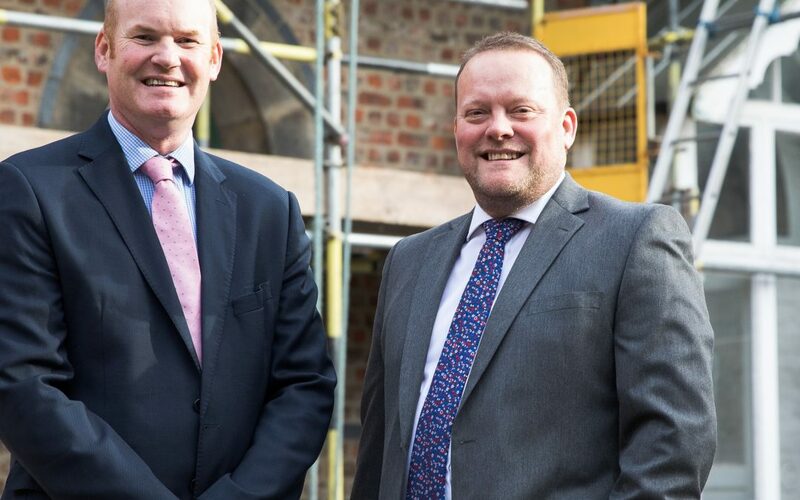 The release was accompanied by a strong image of commercial property partner Tim Cross with his client Alastair Gill, development surveyor at Northminster, in front of the convent buildings. Alastair Gill, development surveyor at Northminster, said: “We are privileged to be the owners of these historic buildings and look forward to redeveloping them following almost 150 years of continuous occupation by the Poor Clare Colettines. Northminster purchased the convent buildings from Select Property Group which developed the Vita Student Village York on the Lawrence Street site.